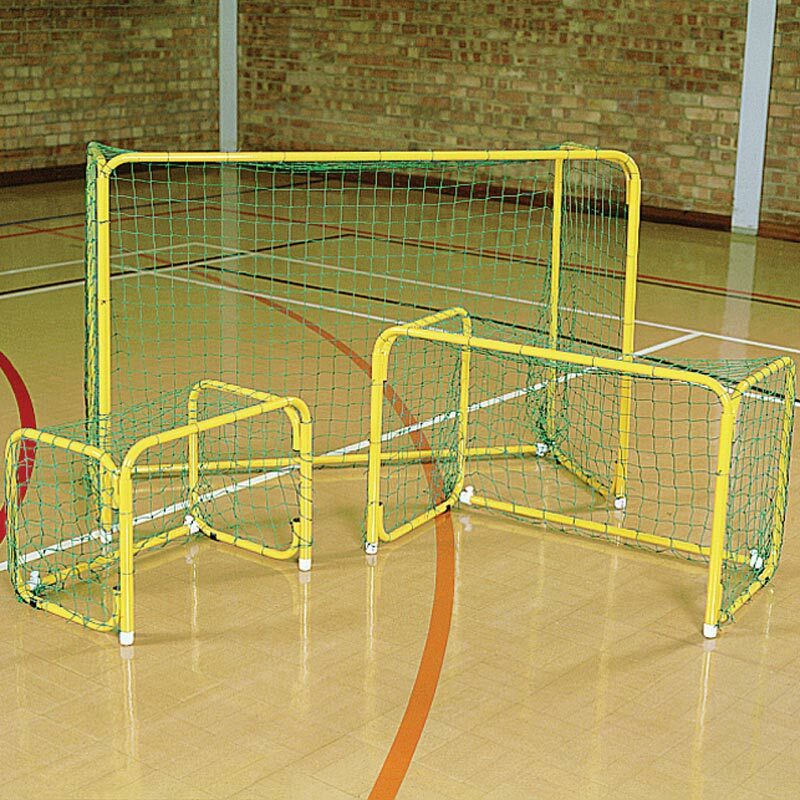 Harrod Sport ® Floorball Goals are supplied as a set of two goals including nets, in three sizes. 2 x Steel Goal Posts. Folding side frame and a detachable backbar for easy storage. 600mm x 900mm - 13kg per pair. 1000mm x 1400mm - 18kg per pair. Unanchored posts have caused some alarming accidents and injuries especially when being misued. To conform to European Safety Standards and FA Guidelines, anchors must be fitted to all freestanding goals irrespective of size or type. It is essential to conduct a risk assessment of your particular site to evaluate the suitability of specific types of anchorage. Click here to go to Harrod Sport ® Goal Post Safety Information. Lost the instructions for your Harrod Sport Floorball Goals? Please Click Here to download a new copy.